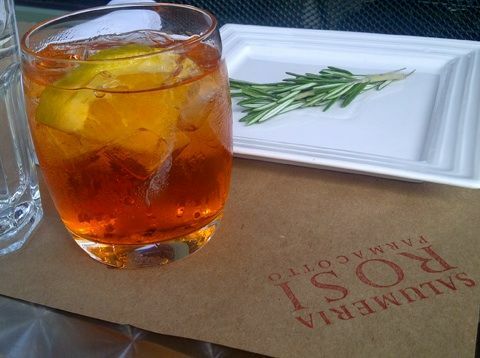 Pour a shot of Campari or Aperol into a chunky 6 oz. glass. Fill with rocks. Pour Prosecco over until bubbles almost reach the top of glass. Add a spritz of tonic. Hang a slice of orange on the edge or a long peel of orange zest if you prefer.